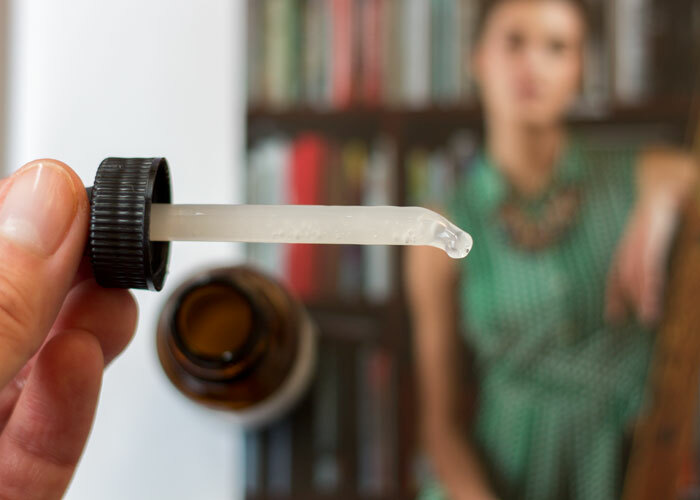 The green beauty world is getting spoiled with the number of fantastic, true serums available on the market. When I say “true serum,” I don’t mean an oil-based serum; instead, I mean a slippery, nutrient-dense serum made to blend with your oil of choice (or layer) to offer a very targeted treatment or experience. 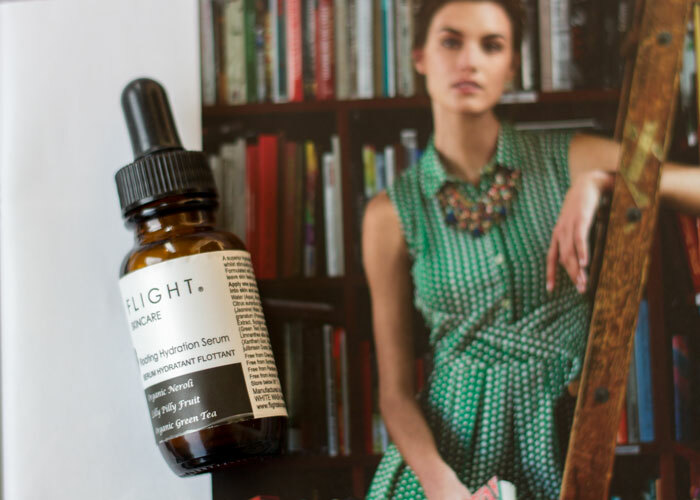 For Flight Skincare’s Floating Hydration Serum, what you see is what you get: A cloud of weightless hydration in just a few delicate drops of jasmine-, neroli- and orange-infused, aloe-based goodness. Flight Skincare’s Floating Hydrating Serum is designed, first and foremost, to deliver a fine layer of moisturizing, nourishing actives to the skin, thanks to pomegranate, wild yam and green tea. Its blend of flowers and citrus (hello, jasmine and neroli!) offer a pleasant scent (not too bright, not too sweet) to help transform both your skin and your mood. Neroli is the dominant scent in this serum, softened a bit by a touch of jasmine and honey. I love blending this serum with Flight’s companion oil, the Camellia Face Treatment, as it offers the perfect balance of airy, dewy slip with penetrating oil. But, you can use whatever your face oil du jour is with this serum, as long as you love the texture and scent combination. As you can see from the picture above, Flight Skincare’s Floating Hydration Serum has more of a cloudy (versus white and milky) look to it. It’s less creamy than other serums on the market, making it ideal for combination/oily skin like mine that needs moisture, but can get fussy. In addition to the extremely effective aloe leaf gel and vegetable glycerine carrier, I’m a bit taken by the inclusion of jasmine (obviously) as well as wild yam and lilly pilly extract. At first glance, the phrase “lilly pilly” seems like a typo, but no — it’s just another wonder from down under (Flight is from Australia, did I mention that?). Lilly pilly berries are high in vitamin C and fruit acids, which aid in brightening and treating skin discoloration issues as well as deep cleaning the pores thanks to its natural astringent properties. You don’t feel any sort of sting or acidic reaction from using this serum, thanks to its thoughtful blend, but instead get that luminescent glow that only a proper, aloe gel-based serum can deliver: Never shiny, but always radiant. Wild yam, another interesting ingredient not always seen in skincare, also aids in the fight against hyperpigmentation and delivers a bit of vitamin C to the skin as well. It’s most well-known for its ability to support to female endocrine system (which is likely the root of many hormonal acne problems). While I won’t go as far to say that I had any skincare breakthroughs with this serum — as far as acne is concerned — I will say that I felt a great balance to my skin when using Flight Skincare’s Floating Hydration Serum with my daily oil treatment. I loved using this at night, as well, mixed in with an evening vitamin A treatment for refining. It’s all about the blend! This would be a repurchase for me if it was stocked in the U.S., and it’s definitely a recommendation for those of you who can easily have it shipped. Have you tried anything from Flight Skincare? What Australian beauty brands do you love? What serums do you enjoy most? Tell me in the comments section!